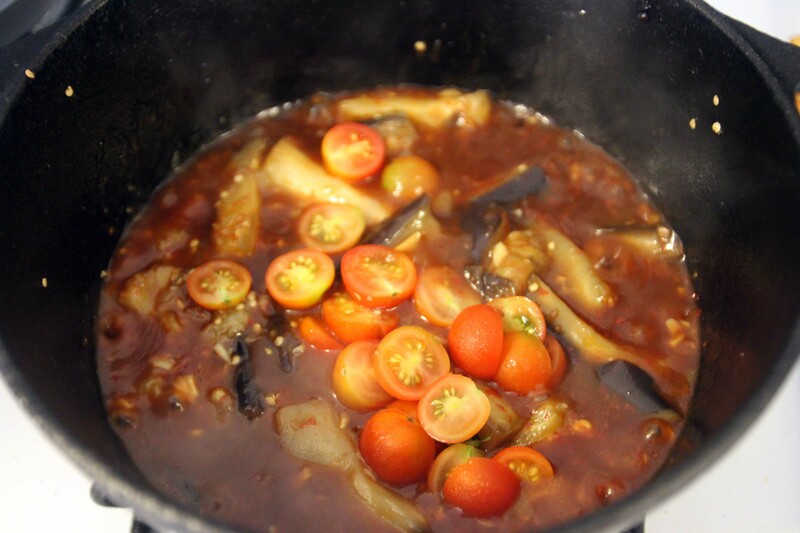 My cousin in Trinidad specifically requested a vegetarian post, using eggplant. This was quite difficult for me, as I generally dislike all forms of eggplant. 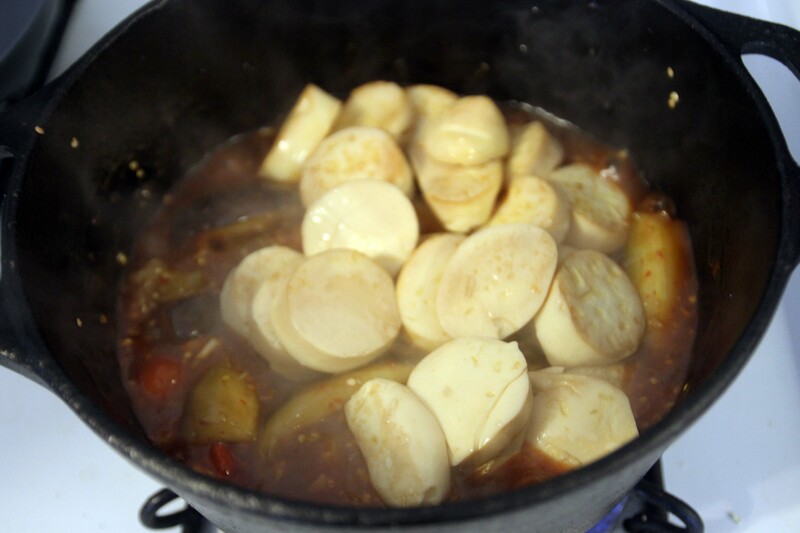 Don’t like moussaka; don’t like bhurtha; don’t like baba ganoush … suffice it to say I find this vegetable repulsive. 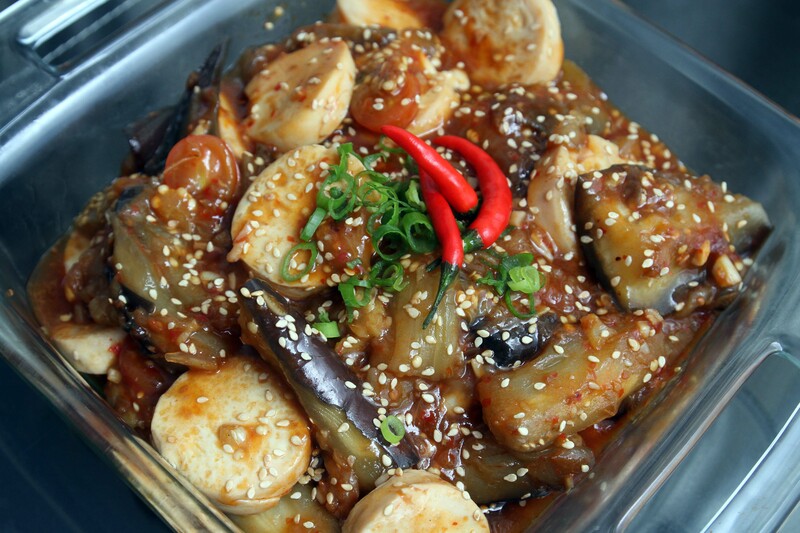 There is however, one single eggplant dish that I do order everytime I go to my local Chinese restaurant — Szechuan style chili eggplant with tofu and pork. 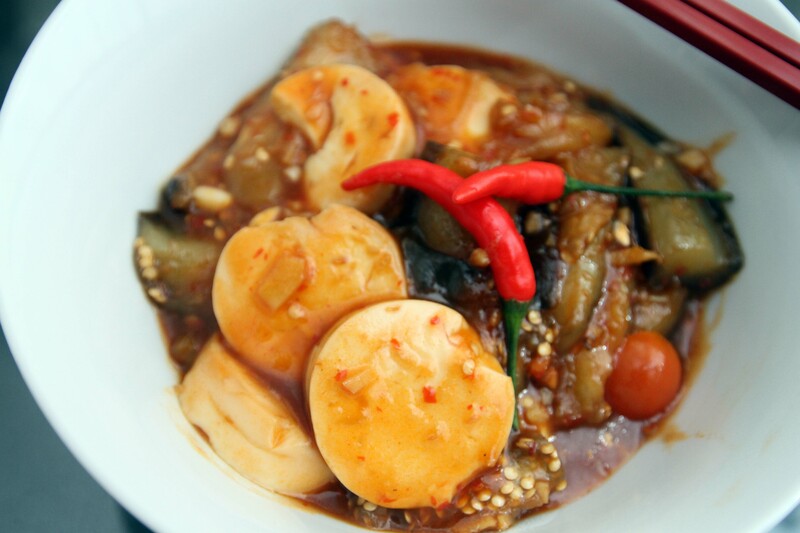 This dish is easily made vegetarian (and vegan) by removing the pork! 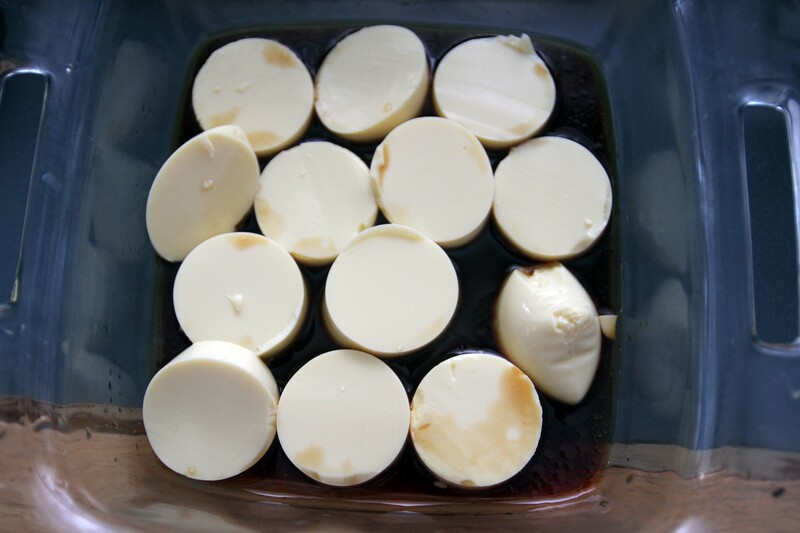 Create a marinade for your tofu by combining some sesame oil with soy sauce. Thin it down by adding a touch of water. Measurements? No clue. I always eyeball it and mix it to taste. 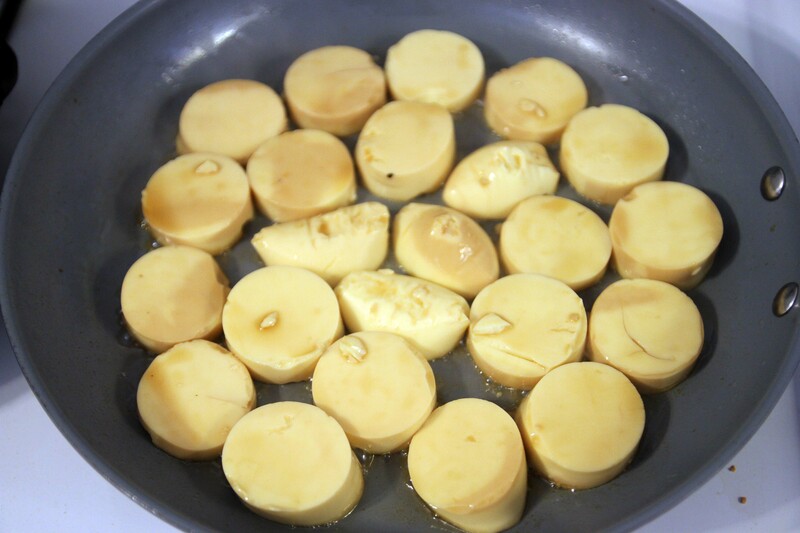 Cut the tofu into slices, and place them in the mixture. Swish it around every 5 mins or so. Set this aside to let it marinade while you prep the next parts. Wash and peel the eggplant. I generally wouldn’t peel off all of the skin, as it would disintegrate easily. Keep some skin to hold the shape. 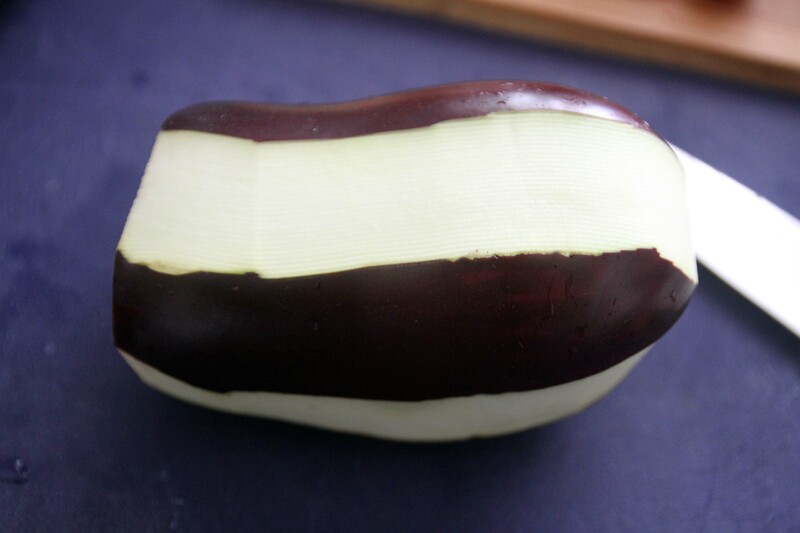 Chop the eggplant into rectangles, roughly 3 cm square, and 8 cm long. 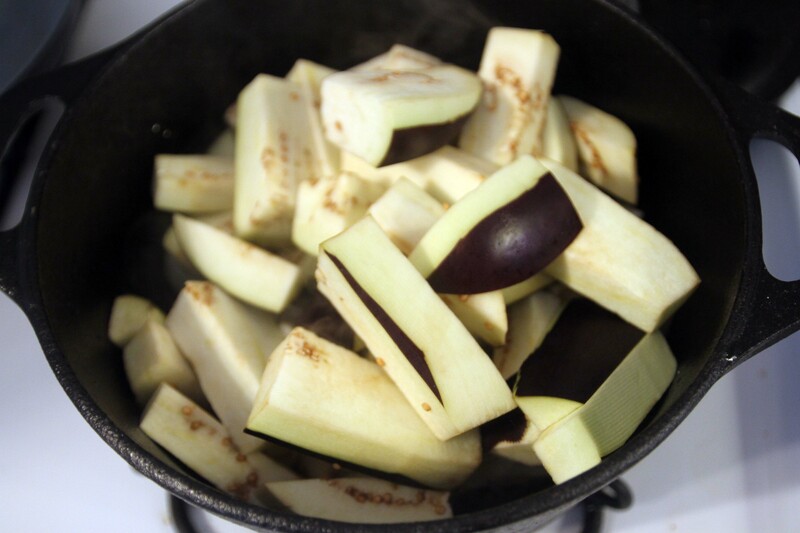 Heat a large pot with a cup of boiling water, and place the eggplant in it. Give the marinating tofu another swish. 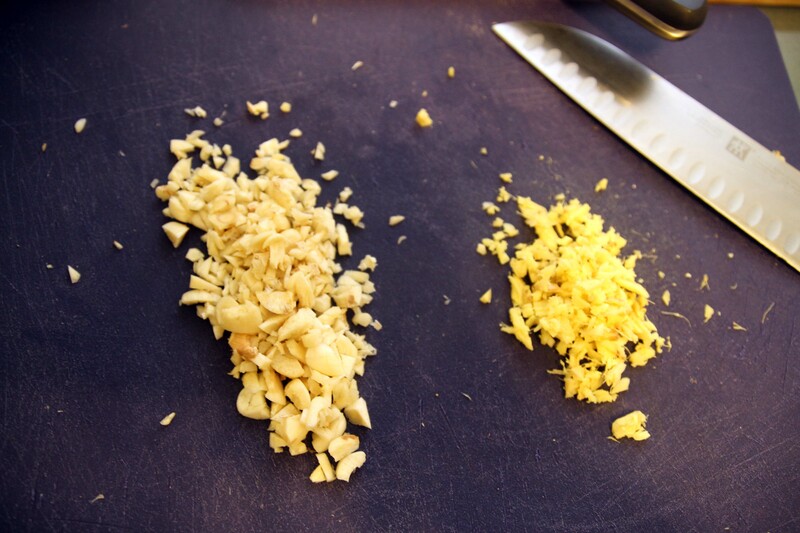 Prep the garlic and ginger but mincing each. The eggplant will probably release a lot of water. I drain it to cook it faster. 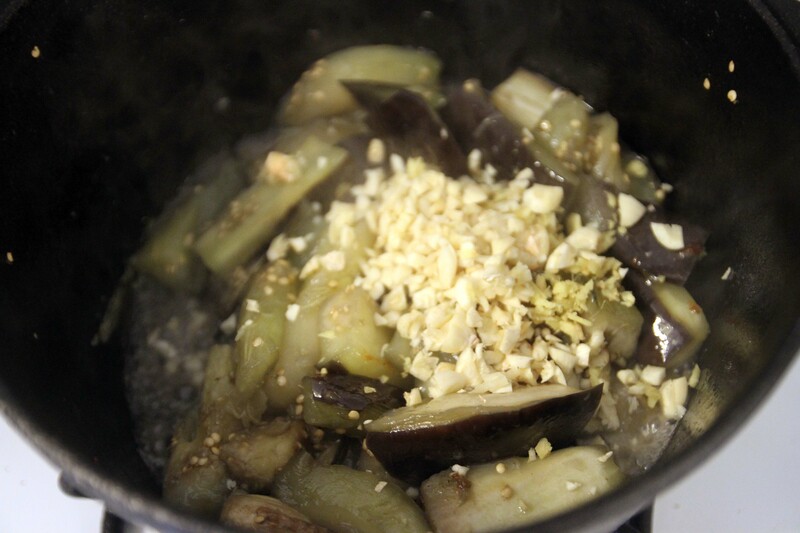 After removing all the excess water, add in a bit of oil to brown the eggplant, and add in the ginger and garlic. On another burner, get a non stick pan medium hot, and add some oil. Place your now marinated tofu on the frying pan, and brown each side. 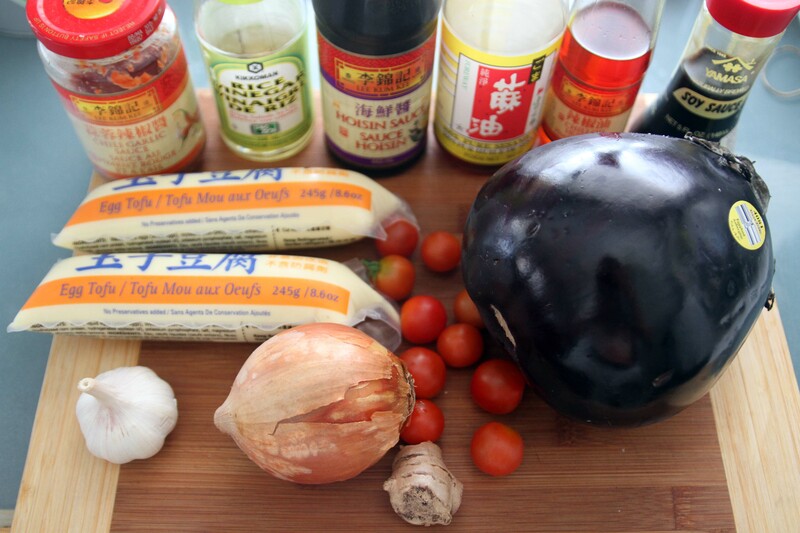 Prep the eggplant sauce now in a small bowl. 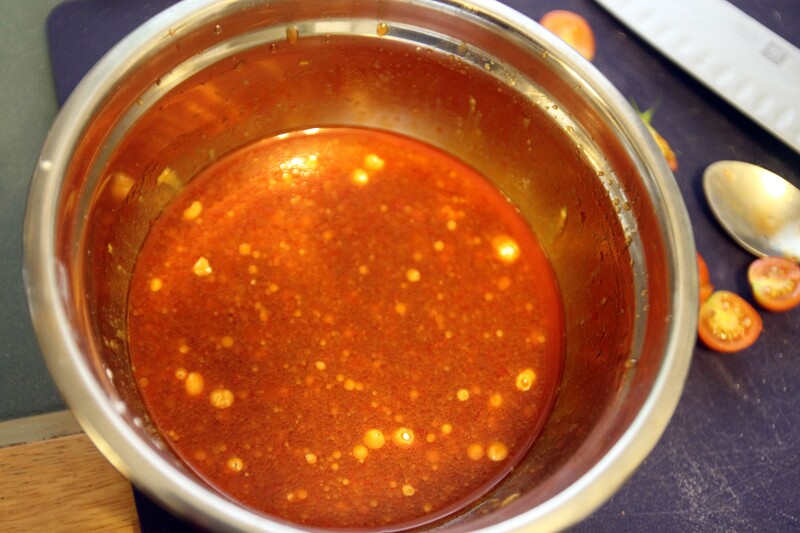 Add in some soy sauce, rice vinegar, hoisin sauce, sesame oil, chili sauce, chili oil, and brown sugar. Give it all a stir. To thicken it up, add in some corn starch. 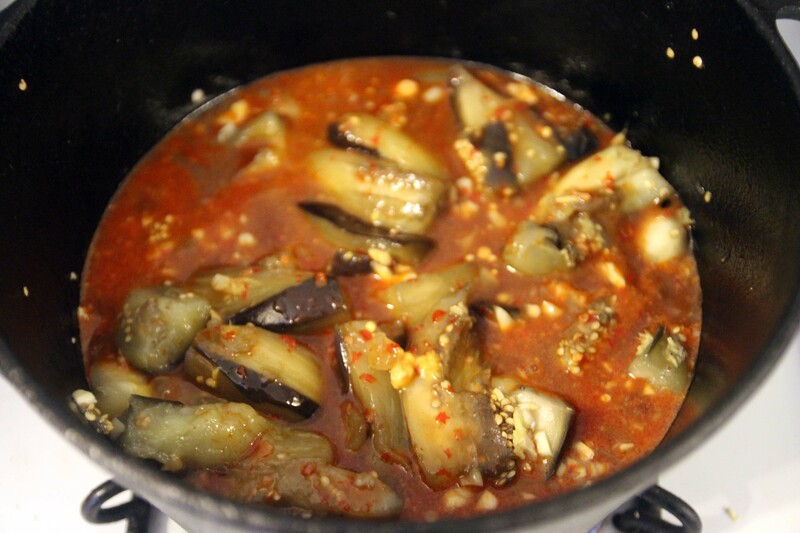 Throw the sauce into the large pot with the eggplant. If you wanted to add tomatoes, now would be the time. After letting it boil down for a couple of mins, the last step is to add the tofu. Protip: Don’t play around too much once you add the tofu, or it will all break. Finally, serve it! This goes best with plain old regular rice. Ta da! There you have it. Cousin’s Spicy Eggplant Tofu. This recipe is easily made vegan-friendly by using vegan-approved soy sauce, and soy tofu.